There is also a dish known to the Efiks as Ukang Ukom. 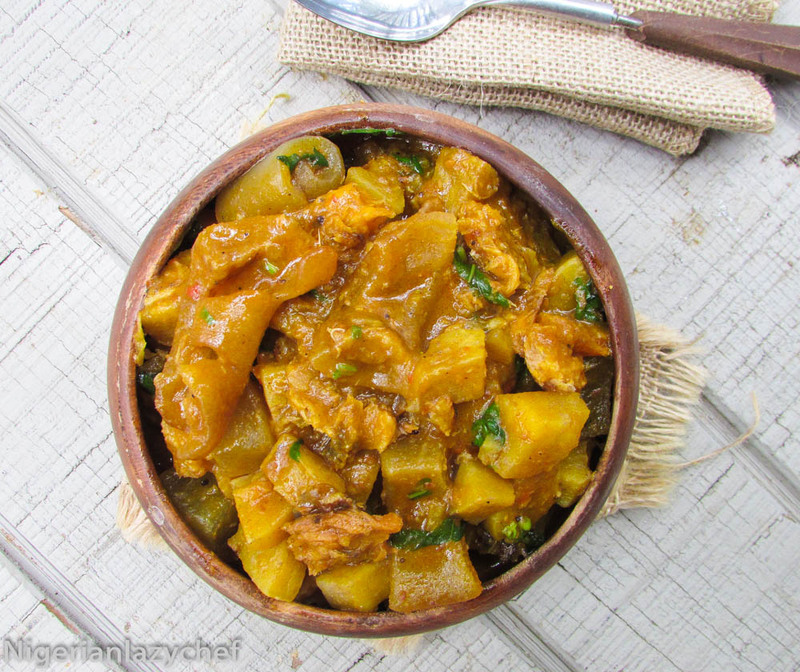 It’s simply plantain pottage whipped into a thick sauce with different aromatics and Pumpkin(Ugu) leaves. My personal favorite is the one made by the Igbos. I love the sweet smell of the Ehuru mixed with dry fish; then add the softness of the cooked plantains all stirred in palm oil. I cannot forget the scent leaves. To me, the scent leaf makes this dish. For a substitute, basil may be used. When I was a very young girl, I never liked green plantains. I heard so many funny stories of how green plantains were more beneficial to men as it helps their “John Thomas”(keeping it pg) achieve and hold an erection. I don’t have a John Thomas, so I didn’t think I needed it.. As I grew into a young lady, I began to learn that green plantains contained nutrients that everyone actually needed. These nutrients include potassium, iron, protein, carbohydrates, fibre and vitaminc. Imagine only men enjoying these nutrients. Please gaan siddan! 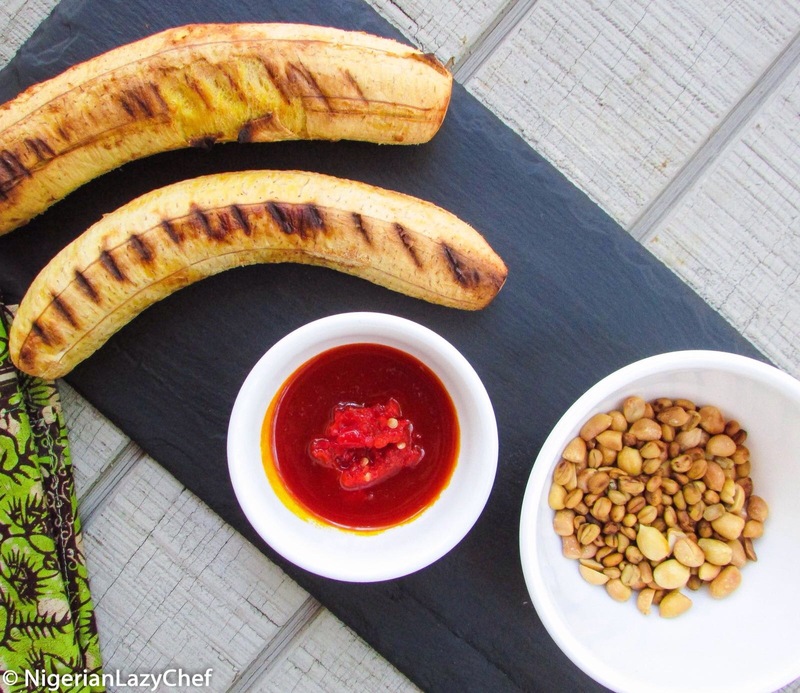 I have used it for a whole lot but my favorite was plating some roasted plantain on it. I love a rustic feel to my photos and this cheese board adds that effect to my photographs. You really want to check them out. heat a pot on medium heat. Pour in the oil. Add the onion and sauté until translucent. Add the cray fish and mix for a minute. Blend the ehuru with the pepper and stir into the pot for a minute. Add the plantains and meats and stir to make sure the oil and spice mix coats every cube. Add the meat stock or water and bring to a boil. Check for seasonings and cover and cook until the plantain is almost tender; making sure you stir occasionally. Add half of the dry fish and half of the scent leaves. stir and cover to cook until the plantains are tender. Stir in the remaining scent leaves and dry fish, cover the pot and set aside. The steam will soften the leaves and the fish. 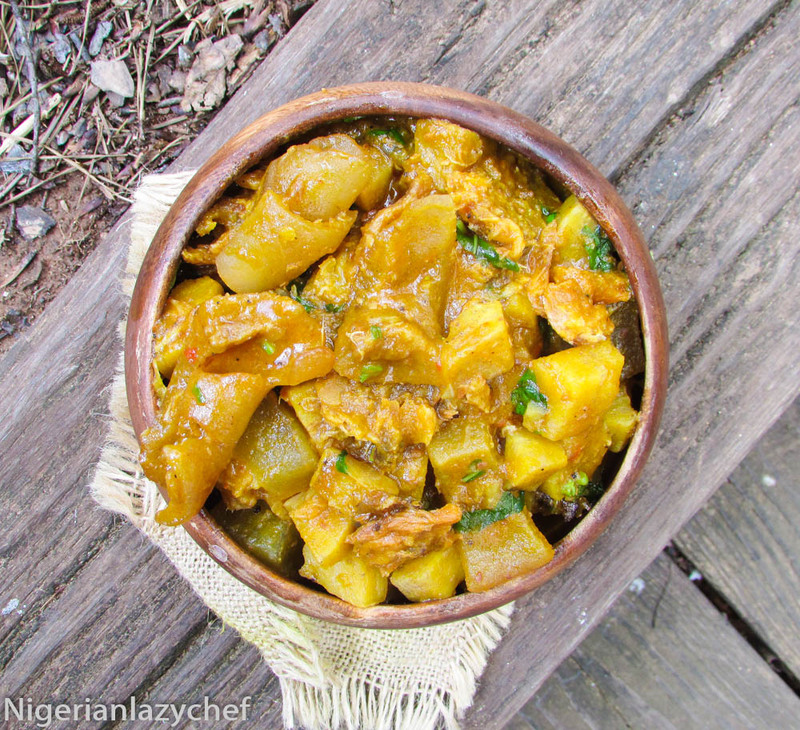 This entry was posted in Carbohydrate, Eating Healthy, gluten free nigerian recipes, Gluten free recipes, Healthy Eating, Healthy Nigerian Dishes, Local dishes, Local Recipes, Lunch, Lunch ideas, main dishes, main meals, Nigerian pottage recipe, Uncategorized and tagged cheese board, nigerian plantain pottage, palm oil, plantain pottage, plantains. Thanks so much for this recipe. Substituted green plantain for yam cos I didn’t have any. My first time of using and tasting ehuru. I really did enjoy it especially with the cow leg it was delish.